As everyone knows by now, MSU picked up its 2nd commitment of the 2014 class yesterday. Composite 4 star athlete Jamoral Graham of Newton County chose the bulldogs over offers from USM, Ole Miss, and high interest from LSU and Alabama. Graham plays both sides of the ball now and it’s to be determined if he will will WR or DB at MSU. My opinion is that the electric playmaker will play either CB or S. Graham is also a standout on the basketball team. The commitment allowed a large portion of the ever pessimistic MSU fan-base to exhale a bit. Many have been very nervous about only 1 commitment but when you look at MSU’s recruiting history, its par for the course. It also doesn’t hurt that he is a high profile guy that gives the star gazers something to fawn over. Another thing that caught many folks eye was his interaction on twitter with Alabama DE Cory Thomas (@bigcory34). They appear to be close and Graham is pushing him to join him at MSU. In the football crazed south our passion goes further than on the field outcomes. We even obsess over the recruitments of high school athletes before they arrive at the schools we root for. In this recruiting crazed environment, SEC football fans are well aware of postgraduate programs or prep schools, as they are better known. These institutions offer kids the opportunity to gain entrance to the 4-year universities without burning any eligibility as they would at a traditional junior college. Last week Andrew Bone, of rivals, was the first I saw to report the closing of Hargrave’s postgraduate football program. While it may be just a blip on many football fans’ radars, it immediately caught my eye as big news going forward for SEC recruiting. There are other programs such as Georgia Military but no other postgraduate institution has been able to become ingrained in the southern recruiting fabric as Hargrave. I immediately made a comment on my twitter about the news and not soon after was informed by Jireh Prep linebacker coach Ryan Williams that they were out there and ready to fill the void left by Hargrave. If you aren’t familiar with how twitter works, Coach Williams did not previously follow me, nor did I follow him. His immediate reaction to me regarding the news showed that the Jireh staff is working hard through all mediums to promote their program. After exchanging a few tweets with Coach Williams and being impressed with how friendly and responsive their staff was, I reached out to Jireh Prep head coach Scott Smith. Coach Smith was kind enough to give me some of his time and discuss the Warriors program and what they are about. The first thing I brought up was how impressed I was with how proactive they were in using the opportunity of Hargrave closing to promote their program and how they are striving to take the next step. One of the main reasons so many SEC fans were familiar with Hargrave is because of how often it was used by the conferences coaches. It would seem that a certain level of trust with coaches like Nick Saban, Dan Mullen, and Hugh Freeze would be essential to getting your foot in the SEC door. We spoke about what it takes to cultivate these relationships. In the beginning of my conversation with Coach Smith I noticed that academics was one of the first things he mentioned. When you look at Jireh Prep’s website, ( jirehprepwarriors.com ), you’ll quickly notice that their mission statement contains the phrase that they “prepare student athletes to become lifelong learners in the classroom…” Coach Smith explained that academics truly are the #1 goal at his program. Most prep school kids are only with their respective institutions for a year. One thing I’ve always been curios about is how much better developed the players get football wise from their 1 year of prep school as opposed to a high school player. I asked Coach Smith how much these kids can absorb in that short time and how advanced they are from a true freshman who came straight from high school. I thought the time management issue was pretty interesting because of how true it rings. It’s not just athletes but all freshmen that have to adjust to being on their own and wisely managing their time for school and social activities. The kids having a year at Jireh Prep really has to help ease that transition to a 4-year institution. Coach Smith also touched on a few things unique to Jireh Prep. We had been talking for a bit and I was really getting the feel for what I thought about Coach Smith and the Jireh Prep program. They really seemed to stress the academics first then athletic and personal development. I wanted to end our conversation with a better look a Coach Smith personally. There are a myriad of reasons that a kid ends up at a postgraduate program. Many kids in high school just don’t get the individual academic support they need to succeed may it be overcrowded classrooms, under funded districts, tough family situations, etc… I asked Coach Smith about what kind of feeling he gets when a kid like that comes to Jireh Prep and gets the help they need to get eligible and further pursue their dreams at the next level. MSU went heavy on the front 7 in the class of 2012 so DL and LB were not big priorities this cycle. CB on the other hand was. With the graduation of Jon Banks and Darius Slay, MSU needed to find some young talent to add to the roster. Regarding DL recruiting, we saw the jewel of our class in Chris Jones. MSU’s LB recruiting is showing a trend to take high school QB’s who have size and athleticism and mold them in to LB’s. At corner we saw perhaps our biggest miss of this recruiting cycle: Mackensie Alexander. After certain media outlets reported his commitment on his visit, MSU fans felt confident. I thought we stood a great chance but my theory is that losing Deon Mix late hurt with Alexander because they had been friends since their all-star game. All in all, still a good haul of talent on the defensive side of the ball. Chris Jones (5 star)– 6’5 250 from Houston, Mississippi. Jones was rated as the 2nd best prospect in America by 247 sports. Jones committed to MSU in the summer and stayed true despite a crazy recruitment at the end. Many national analysts have said Jones has more upside than any other player in this class. A rare blend of size, speed, athleticism, and aggressive streak have MSU fans excited that we now have a Jadaveon Clowney type talent. I said in early fall he would close the gap in ratings with Nkemdiche and he did (was ridiculed by Rebel fans). Dezmond Harris (3 star)– 6’3 220 from Mccalla, Alabama. Harris played quarterback for a run oriented team so his recruitment was based on projection. Season was cut short by an ACL tear but he is progressing from the injury. He impressed MSU coaches at Big Dawg Camp while working with LB’s and earned an offer and he soon after committed. Doesn’t have quite the size but Harris reminds me of a Benardrick Mckinney type prospect. He was expected to redshirt so the injury wasn’t devastating. Justin Cox (4 star)- 6’2 185 from West Point, Mississippi. Cox originally signed with MSU out of high school but did not qualify and rejoins the team as a juco transfer who is already in school now. Big time athlete in high school and juco. Has the versatility to play either safety or corner, which we need help at both. It will be interesting to see where he ends up but Mullen did say in the NSD presser that he would start off at CB. Expect immediate impact. Kivon Coman (3 star)- 6’1 200 from Florence, Alabama. Coman originally signed with MSU last year but attended Hargrave for 1 year to reach academic qualifier status. He is the cousin of current bulldog Beni Brown. Coman has good size for the defensive backfield. He plays smart football and his game has a smooth look to it. One year of prep school should have helped his development. Coman provides big talent and upside to the safety position. Jahmere Irvin-Sills (3 star)- 5’10 172 from Elkton, Maryland. Sills was a former Auburn commitment who chose to open his commitment back up after a change of staff. He has quick feet and good cover skills projecting him as a CB. He was also a dangerous kick returner for his high school team. Very smart kid who is reported to be a hard worker. Very good late pick up for MSU. Gabe Myles (3 star)- 6’0 183 from Starkville, Mississippi. Myles was rated as a high 3 star by the services and probably could have been higher if he would have done more camps and not committed so early. Myles father played for MSU and he starred at local Starkville High School leading the Yellow Jackets to a state championship as their QB. Myles future is at CB. Brandon Wells (3 star)- 6’2 175 from Bogue Chitto, Mississippi. Wells showed great speed and athleticism at camps this summer and earned an offer. He became an early commitment for the dogs. Great size to go with his speed. He could end up at WR but his skill set and attributes begs for the safety position. Will need time to develop. Tolando Cleveland (3 star)- 6’0 170 from Powder Springs, Georgia. Cleveland was committed to Georgia Tech until a week out form signing day when he flipped to MSU. Mullen and staff were impressed at camps this summer with Cleveland and stayed on him after him even after his commitment. Good size for a corner and also good cover skills. I’d look for a redshirt and a year to work with Deshea Townsend. MSU graduated 5 senior WR’s from the 2012 roster with 4 of those being heavy contributors. 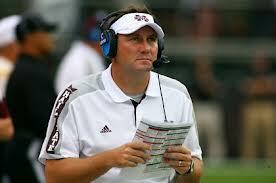 Dan Mullen’s spread offense requires there to be an abundance of WR’s on the roster. Heading in to this class everyone knew that WR was a huge need and MSU took great measures to meet that need signing 6 and possibly 7 depending on where Brandon Wells ends up. I think its safety so I’ll profile him there. When you look at this list a few thing jumps out: stars and size. MSU signed 2 high end guys and all of the rest have great size. The one miss was 4 star Corey Smith of EMCC. He could have provided immediate help in the slot but my sources were not thrilled about him from the beginning and do not consider him a huge loss for a myriad of reasons. MSU also signed 1 TE that is profiled at the end. Jeremey Chapelle (3 star)- 6’2 212 from Tyler, Texas. Chappelle is the lone juco WR from Tyler JC and should help immediately. He is a big physical receiver who attacks the football and uses his body to shield off DB’s. Look for him to challenge for a starting position come fall. Fred Ross (4 star)- 6’2 185 from Tyler, Texas. Ross flipped from Oklahoma State to MSU 1 day before NSD. Great pickup for MSU. Ross is a big time talent from a big time program in Texas. Great size and is very polished for a high school WR. Expect him to challenge for playing time in the fall. Donald Gray (4 star)- 5’10 180 from Memphis, Tennessee. Gray is a speed demon who has the ability to score on every touch. Academics kept his recruitment under the radar but he emerged in the classroom late and MSU’s persistence paid off. National 247 analysts said he is arguably the best player in Tennessee. Shelby Christy (3 star)- 6’3 190 from Geismar, Louisiana. No doubt the most underrated WR in this class. Christy was hands down the best WR at Big Dawg Camp. Big physical WR with good speed. Plays the ball very well and has the physical appearance of being “college ready” for a high school kid. With limited upper classman, I wouldn’t be surprised if Christy breaks the rotation as a true freshman. BJ Hammond (3 star)- 6’4 210 from Gadsden, Alabama. Hammond is an under the radar prospect because of the run heavy offense he played in. Hammond did enough on the camp circuit for MSU to offer and get an early commitment. Hammond is very self-confident and was one of our best recruiters last year. He is all bulldog. Very raw and may need some time to develop. De’Runnya Wilson (3 star)– 6’5 212 from Birmingham, Alabama. There may not be a WR signed in 2013 in this class with more upside than Wilson. He has been a lifelong basketball star who just started playing football. Freakish athlete with his mixture of size, speed, agility, and ball skills. He is extremely raw and will need some coaching but he could very well end up being the jewel of this WR class. He also plans to walk on the basketball team. Artimas Samuel (2 star)- 6’2 250 from Columbus, Georgia. Orinally committed to MSU last year but needed 1 year of prep school where he was the teammate of current signee Kivon Coman. Samuel will probably end up being used as a TE in our offense. Simply grew out of WR after high school. Had a bunch of big time offers as a JR but academic issues slowed his recruitment down. A big, strong kid with good hands who is a steal for MSU. 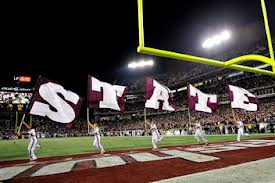 MSU entered the 2013 siging class in dire need of signal callers. With only 2 scholarship QB’s and the departure of Jamil Golden for academic reasons, this became a crucial need. This was addressed with 2 quality prospects. Cord Sandberg (4 star)- 6’2 200 dual threat QB from Bradenton, Florida. He committed over the summer and stuck with his decision. Seems to be the perfect fit for Mullen’s offense and a Tebow clone. Professional baseball is a concern but it will take top 3 round money to get him to sign. Playing outfield lends me to believe he could end up at MSU. A pitcher or infielder with his pro rating would be gone. Huge pickup for MSU and every bit worth the risk involved. Damien Williams (3 star)- 6’1 215 dual threat QB from Metairie, Louisiana. He flipped to MSU the week before signing day from USM. He also had offers from Kansas State and Nebraska. MSU really needed a second QB anyway but much more so after Cord’s rise in MLB draft status. Calling this kid a backup plan does not do him justice. Touted by many as the best high school QB in Louisiana this year. MSU entered this class not really needing more than 1 RB. We would have taken 2 if Kailo would have stayed on board but there is no doubt MSU got the best RB in Mississippi and one of the best in the south. Don’t take my word, ask Rueben Foster. He saw first-hand how hard Ashton runs when he got run over in the the Ms/Ala all-star game. Ashton Shumpert (4 star)- 6’2 212 big back from Tupelo, Mississippi. Extremely gifted athlete for his size. Runs extremely hard. Many MSU fans have been hoping for a powerful back to emerge and Shumpert represents that for the future. 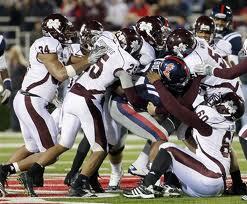 MSU entered 2013 trying to sign 3-4 more big uglies as they do every year. O-line is hard to project so picking up a few every year is imperative. MSU ended up with 3 this year but wanted 4. The last minute loss was Deon Mix. Of the 4 he had the worst feet but he was a big strong kid from South Panola. You just don’t want to miss on that. Unfortunately we did, but we got some good ones. Jake Thomas (4 star)- 6’5 300 tackle from Columbus, Mississippi. A big kid with a good frame and good feet. Thomas came into the year with a lot of hype, hence the 4 stars, but played injured the whole year and had a somewhat quiet senior season. He first turned eyes on the camp circuit and garnered attention for his dominant performance against Channing Ward as a Jr. He probably projects at RT or guard. Kent Flowers (3 star)- 6’4.5 295 from Hollandale, Mississippi. He first caught coach’s attentions with his athleticism in the camp circuit. Flowers is raw but has great feet, athleticism, and frame. The sky is the limit for him. I think he is our LT to-be behind Blaine Clausell. Jamaal Clayborn (3 star)- 6’3 315 from Flowood, Ms. Another really big kid with decent feet. Committed to MSU early in the process and shut down his recruitment. Had a good senior year for Jackson Academy. A really smart kid who I think ends up at C because he can has the smarts to be the “QB of the line”.